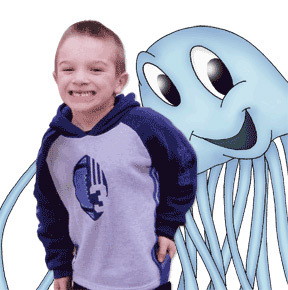 Zoo-phonics® works exceptionally well with special needs students. Besides learning disabilities, ADD/ADHD and dyslexia, children who, having been diagnosed with autism (including Asperger’s Syndrome), apraxia, cerebral palsy, Down Syndrome, etc., have quickly learned the alphabet, and have been able to learn to read, spell and write through the Zoo-phonics® methodology. Children (and their parents) quickly see their own progress, and self-image and confidence grows. Children have been successfully mainstreamed or included because of the efficiency of this program. Zoo-phonics® works exceptionally well with students with learning disabilities because it is concrete, uses pictorial mnemonics, is kinesthetic and multi-modal. With Zoo-phonics®, children learn to read and spell through their eyes, mouth, ears and body. If one perceptual channel is weak, there are three other channels to take over and support the weak one. For example, if a child has an auditory deficit, his/her eyes, mouth and body will take over and help him or her to access, understand, memorize, use and transfer the new information. Children learn though Zoo-phonics® when no other program works. The colorful Animal Letters and Body Movements (Signals) engage the child and hold his or her attention. Because the curriculum is so playful, children not only want to learn, their behavior improves because the children are on task and happy while learning through Zoo-phonics®. Instead of telling children to “sit down and be quiet” we encourage them to wiggle their hands and body and make sounds (letter sounds)! Zoo-kids and now Zoo-grand kids! Ever since, I have considered Zoo-phonics to be the greatest tool in my teacher’s tool box! Our private elementary school located in Silicon Valley was about a 20 minute drive from a large country club community that boasted an excellent, well-funded neighborhood public school. Over a period of a few years, we noticed a trend: many families from the country club area utilized our Pre-school and Kindergarten, and then would transfer to their neighborhood school for 1st grade. One day I shared our observation with a parent with whom I felt comfortable, gently inquiring why this might be so. She immediately responded, ‘Oh, we talk about you out there! You see, our local school runs a developmental Kindergarten program, but when kids arrive in 1st grade they seem to be expected to know how to read. Parents feel like no one there really teaches them how to do it. The word spread between parents and we’ve learned that we can come to you, because you know how to teach children how to read!’ I am so thankful to have had a principal who equipped the Pre-school through 1st Grade teachers with the Zoo-phonics program! Ever since, I have considered Zoo-phonics to be the greatest tool in my teacher’s tool box!